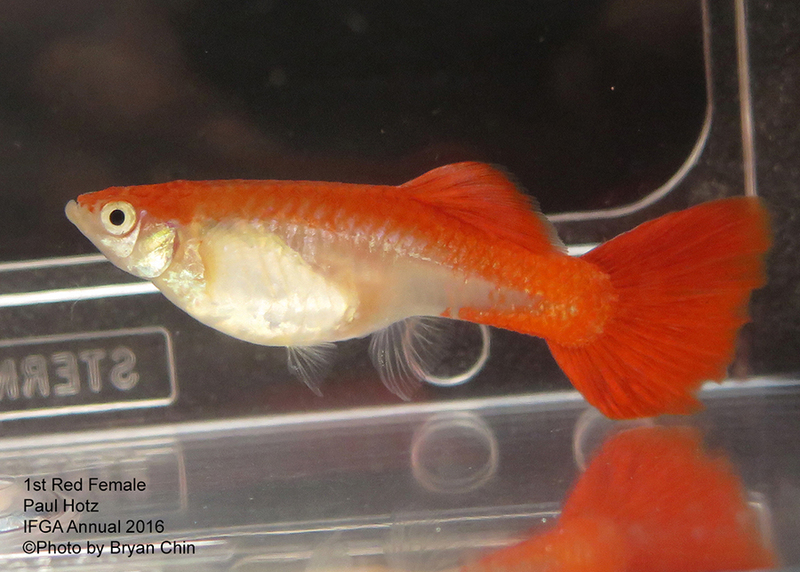 The female show guppies often show bright fin colors and large finnage. Female must show a gravid spot to qualify for competition in an IFGA female class. Show standards has more emphasis on body size compared to the tail for the female. 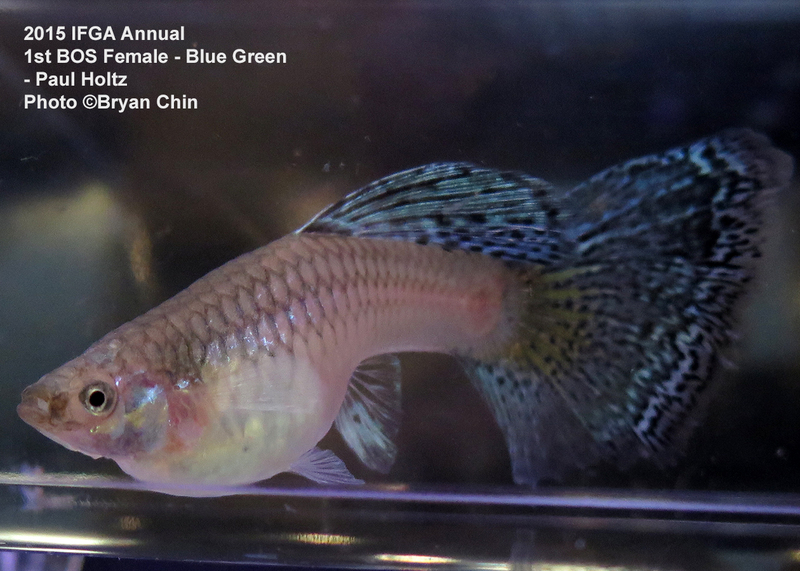 This guppy with blue and green colors in the tail would be entered the blue-green female class. 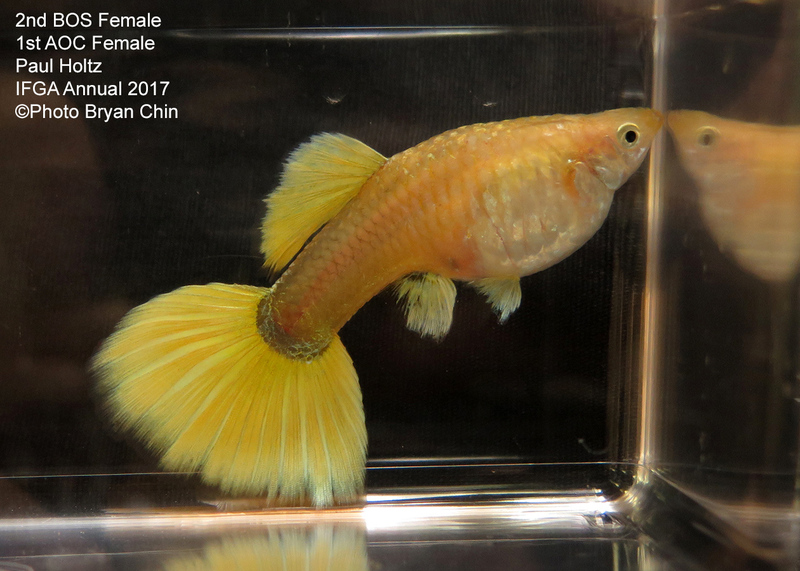 This guppy would be entered in the AOC female class since there is no specific yellow female class in IFGA. Carries Blonde, Mg (metal gold), and possible MBAG (Moscow Blau Additional Gene). Though it carries the Mg trait the Gold color on the body is not visible to qualify for the Gold female class. This guppy with strong Gold color on the body. Carries Blondes and Mg (Metal gold gene) traits. Would be entered in the gold female class. A pastel guppy that would be entered in the AOC Female class. 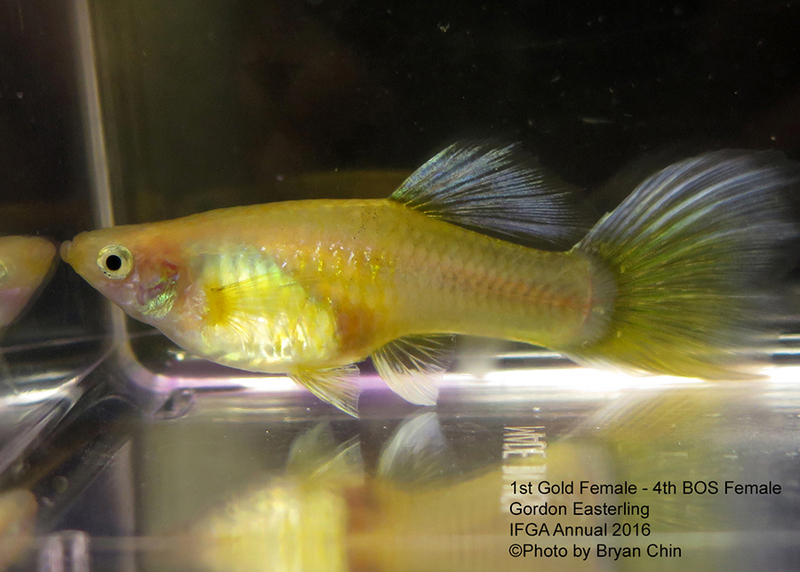 This fish has a gold body with dark edge scales and would be entered in the Bronze Female class. This fish with good half black body would be entered in the Half Black Female class. This fish would be entered in the Red Female class.